The next chapter of former UFC heavyweight title challenger Gabriel “Napao” Gonzaga starts October 28th when he makes his professional boxing debut fighting on the “New England Future 4” card, the fourth and final 2017 installment of the popular professional boxing series, “New England’s Future”, to be held at the DCU Center (Exhibition Hall) in Worcester, Massachusetts. 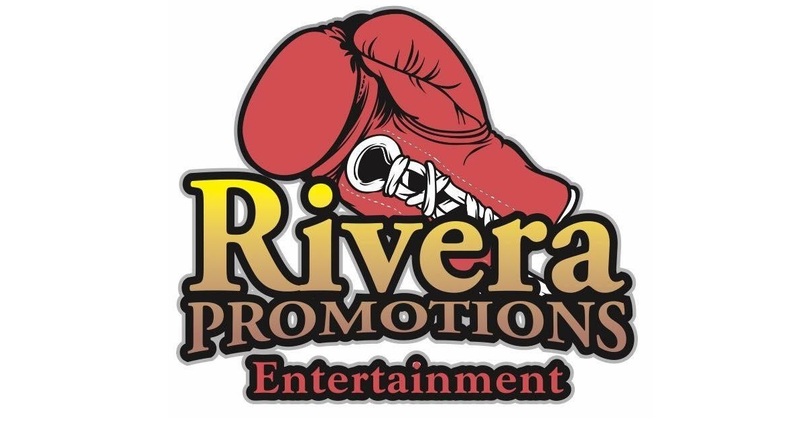 “New England’s Future 4″ is presented by Rivera Promotions Entertainment (RPE), which is owned and operated by retired three-time, two division world champion Jose Antonio Rivera and his son, Anthonee (A.J.) Rivera. The 38-year-old Gonzaga teaches Brazilian Ju-Jitsu (BJJ) in Worcester and lives nearby in Ludlow (MA). An imposing physical fighter, the 6′ 2”, 260-pound Gonzaga (17-11-0, 7 KOs, 9 SUBs, 1 DEC), holds 4th degree black belt in BJJ. The highlight of his MMA career was at the 2007 UFC 70, held in Manchester, United Kingdom, in which he knocked out K-1, Pride and Rizen champion Mirko Cro Cop with a head kick in the opening round, positioning Gonzaga for his unsuccessful challenge of UFC Heavyweight Champion Randy Couture in his next fight. Gonzago has a new opponent for his four-round bout, Tampa’s pro-debuting Alejandro Esquilin Santiago, who also has a pro MMA background. “I like challenges in my life,” Gonzaga explained why he’s making his pro debut. “I set new goals because I like to be competitive in sports. I have a good boxing coach who told me I should try. I was a BJJ (Brazilian Jiu-Jitsu) world champion and UFC title contender. I have good boxing skills and plan to put on a good show. I do have one-punch power and hit hard. Gonzaga’s head boxing trainer, Rocky Gonzalez, has been working with several MMA fighters, including Gonzaga, for more than a decade to help them improve their striking skills. Gonzalez freely admits that Gonzaga knew how to box before he started working with him, crediting Gonzaga’s Muay Thai coach, and that boxing came naturally to the big Brazilian who has made an easy adjustment from the Octagon to the ring. Gonzalez also feels that leg positioning differences for MMA fighters switching to boxing, in terms of throwing proper punches, is somewhat overrated. “In boxing,” Gonzalez said, “fighters need their hands like their legs and elbows in MMA. Distance and timing is more important than where their legs and feet are positioned. Gabriel doesn’t like sparring with headgear, so, his sparring is more like real fighting. He’s been hot with some real shots but he’s responded well. He’s always going to have a puncher’s chance and he’s deceptive because he doesn’t look as fast as he is. Former WBU Americans and IBU North American cruiserweight champion, Vinnie “American Nightmare” Carita (16-1-1, 15 KOs), fighting out of Pembroke (MA), will take on Bolivian heavyweight champion Saul “El Fenjx Asesino” Faraff (64-23-3, 56 KOs) in the eight-round main event. Hartford’s (CT) popular Richard “Popeye The Sailor Man” Rivera (3-0, 2 KOs) meets Hansen Castillo (0-2) in the four-round, co-featured event to be contested at a 180-pound catchweight. Many of New England’s best and most popular N.E. fighters will be in action, including 2014 N.E. Golden Gloves champion Adrian “Tonka” Sosa (4-0, 3 KOs), fighting out of nearby Lawrence (MA), vs. veteran Norwalk (CT) welterweight Shakha Moore (12-23-3, 2 KOs) in a six-round match. Also fighting on the undercard in four-round fights include 2016 N.E. Golden Gloves champio, Anthony Laureano (5-0, 3 KOs), of East Hartford (CT) vs. Bruno Dias (0-3), of Woburn (MA), New Haven (CT) Edwin Soto (10-2-2, 4 KOs) vs. Anthony Everett (1-6). of Lawrence, at a 150-pound catchweight, three-time USA Boxing Nationals champion Elvis Figueroa (2-0, 1 KO), of New Haven (CT), vs. pro-debuting Brazilian native Rene Nazare, Southbridge (MA) junior welterweight Wilfredo “El Sucaro” Pagan (2-0) vs. Patrick Leal (0-3), of Woburn (MA), at a 150-pound catchweight, Danbury (CT) junior welterweight Omar Bordoy, Jr. (2-0) vs. Schenectady (NY) veteran Bryan “The Brick” Abraham (6-30, 6 KOs), and Timmy Ramos (4-0-1, 4 KOs), of Framingham (MA) vs. Seth Basler (0-2), of Illinois.